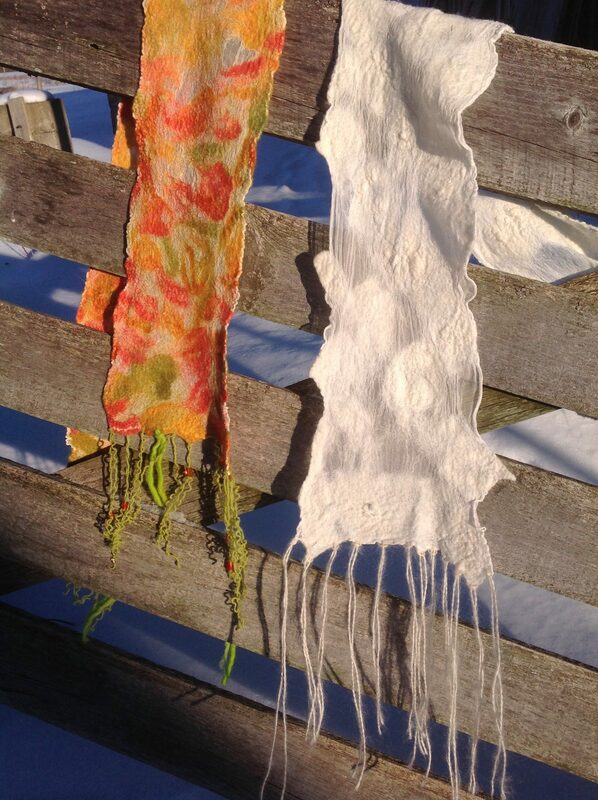 On March 2 we will explore Nuno Felting. Nuno, which is the Japanese word for cloth, is made by enticing wool to migrate through a light fabric to create a new material. Join us and create a very unique & beautiful scarf! The workshop will be led by local artisan Heather Darlington. Please bring a beach towel to class, all other materials are supplied.